Unedited extra images - Bike Trials, Street Trials and BMX at Ride On Indoor Park, Coopers Plains, Brisbane, AUS. Coordinated by Tim Mullaly from expressivebikes.com. If you order prints from this gallery of unedited images, the image(s) will be edited / corrected / cropped before being printed. If you'd like a download, you can either: 1. purchase the image 'as-is', or 2. email me (disci7 AT gmail dot com) and ask me to edit the image prior to purchase. 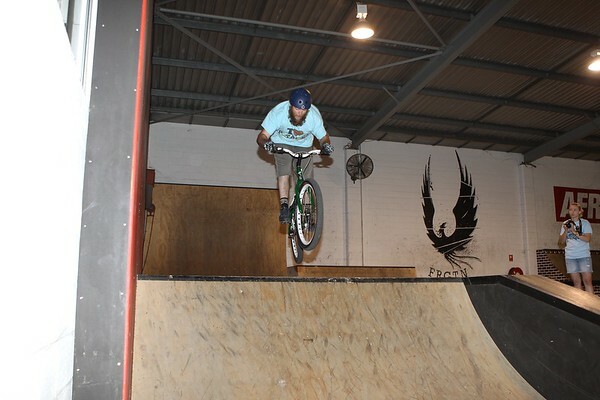 Allan Phillipson - ExpressiveBikes - Inspired Bike Trials Expression Session 2013; Ride On Indoor Park, Coopers Plains, Brisbane, Queensland, Australia; 31 August 2013. Camera 2, Photos by Des Thureson - http://disci.smugmug.com.